Testing in labs is only as good as the products used, consistency and dependability. Variances throw off results and data accuracy. The NSI Lab Solutions Proficiency Testing Catalog emphasizes the ultimate reliability and accreditations of their products. 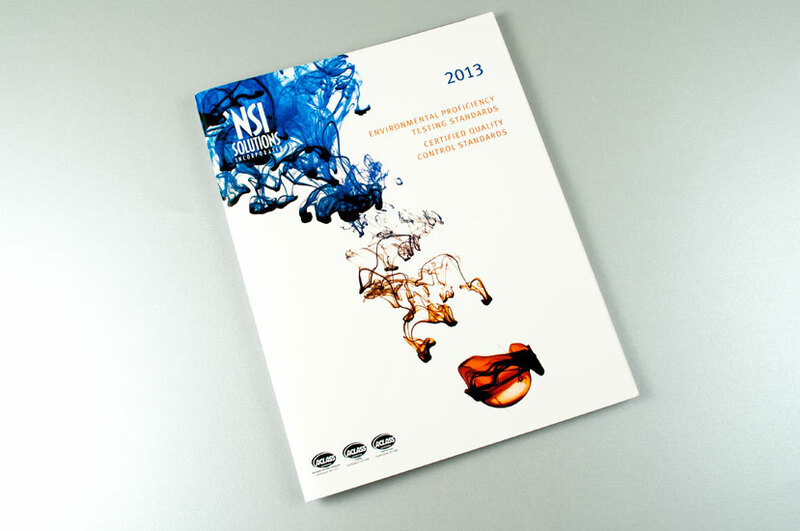 This NSI Lab Solutions catalog has a striking cover that invites readers to see what’s inside. 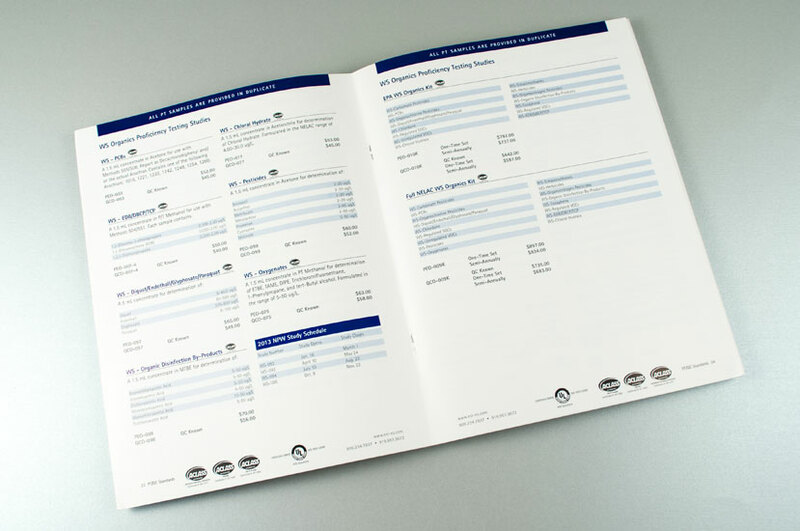 Including industry compliant accreditations on the footer of each page emphasizes the dependability of the products meeting lab standards. Positive and negative white space is used to frame graphs, charts and diagrams within the magazine so readers can find the information they are looking for easily.